Welcome to Javaman's Blog! You will find useful information and tips on, coffee brewing techniques, coffee regions, coffee facts, coffee brewing equipment and much more! If you have any suggestions, please feel welcome to drop us a note and give us your feedback. 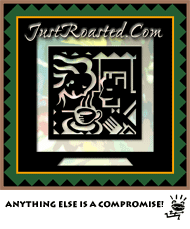 JustRoasted.com offers a wide range of 100% Arabica coffees from around the globe, including dozens of Fair Trade Organic varieties. All of our coffees are hand-selected and micro-roasted European-style. Each coffees is available as whole bean or ground and are typically shipped within one day of roasting. No fresher coffee is available unless you roast it yourself. "Anything else is simply a compromise!" 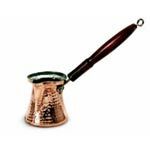 You will need a Turkish coffee pot also known as ibrik, ground coffee, sugar and some water. For one cup fill the ibrik with 3oz of water. Add sugar to taste (if you like your Turkish coffee sweet) and top it with a heaping teaspoon of finely ground coffee. Stir the coffee a bit. The coffee seals the narrow top creating an oven effect. Tips on using the French Coffee Press for the Perfect Cup of Coffee! 1. Rinse the French Press Coffee Pot with hot water. 2. Put the ground coffee into the French Press Coffee Pot. Start with 2 level tablespoons per 6oz water - as you gain experience you can put more or less depending on your taste. 3. Pour in just enough hot water to cover the grounds and stir it gently with chopsticks or with wooden spoon. The coffee will start to bloom (create a foam). By going over this list remember that what you are looking for in a good cup of coffee is essentially body, aroma and flavor. You might want to put yourself to the challenge and choose a coffee that you like and see what you can detect. Try different coffees and compare them with a good brew to try to see where the differences lie. Why choose SWISS WATER Process? Does the type of Coffee Cup Affect the Taste of your Coffee?